Chickasha Emergency Food Pantry | Chickasaha Oklahoma Non-Profit Org. The Emergency Food Pantry opened its doors in 1983. Since then, we have been serving those in need in the Chickasha area every Monday through Thursday from 1:00- 4:00 PM. 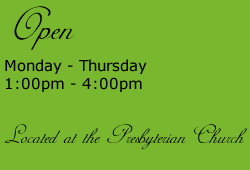 We are located on the north side of the First Presbyterian Church. Our pantry contains well balanced, mostly non-perishable groceries that are intended to serve a family for a period of weeks. Items provided include bread, butter, juice, canned fruit, vegetables, pork and beans, canned meat and tuna, beans, rice, cereal, crackers, soap, and toilet paper. The Pantry is staffed by volunteers who donate their time once a week or monthly. We are a tax-exempt (501 C3) organization and are supported by individual contributors, civic organizations, and grants. We welcome you to become a donor and/or volunteer. The mission of the Emergency Food Pantry is to assist and provide supplemental food to the needy in Grady County who have been impacted by financial problems as a result of: unemployment (lay-offs & downsizing), divorce, disability, health, domestic violence, homelessness, disaster, aging and rising cost of living. 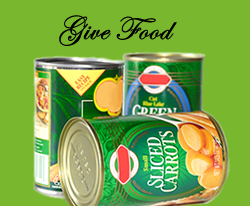 We gather, store and distribute goods to those who find themselves in time of special need and crisis. Our mission is based on a compassionate hand out and hand up as we respect the dignity of each person we serve. The Emergency Food Pantry seeks to collaborate with those who share our mission. The Emergency Food Pantry has a 501c3 status.